Dramatic landscapes abound in the Scottish Highlands and, if you also like large, strong men in kilts and distilled spirits, then Scotland is the place for you. 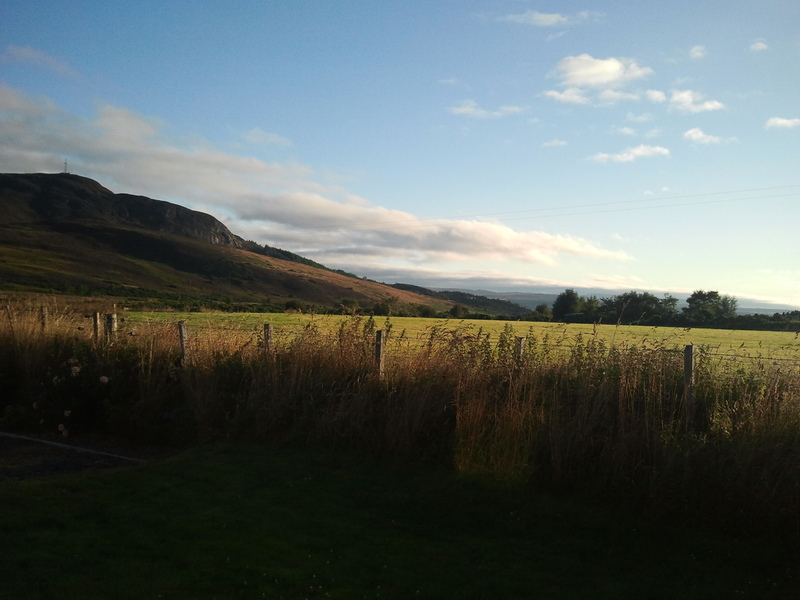 We recently visited the eastern Highlands, close to the Burgh of Tain (settled in 1066), and enjoyed watching burly and brawny men play Highland Games along with touring the Glenmorangie Scotch Distillery, visiting an inhabited castle, watching rabbits hide in prickly gorse, riding on a wee ferry, oohing and aahing over puffy lambs AND, say it with me now: b-i-r-d-i-n-g! 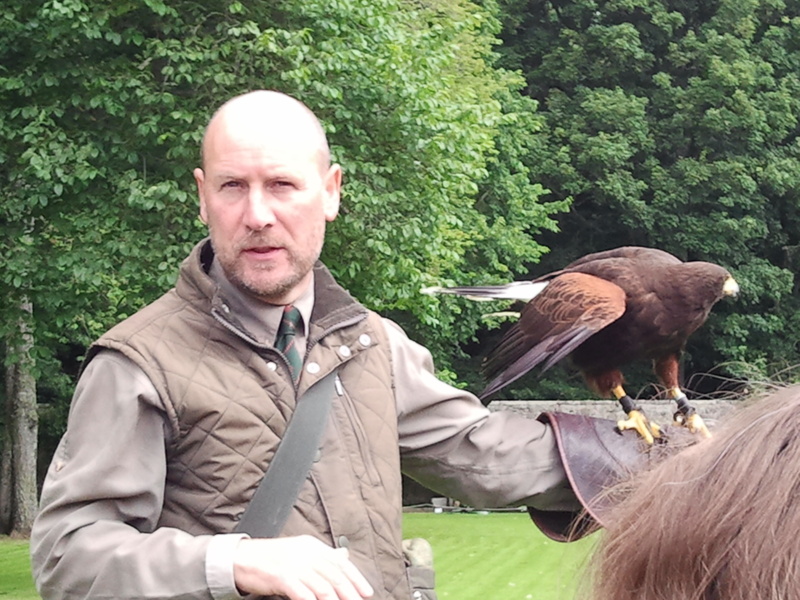 To start us off in that direction, we saw a Falconry Demonstration at the Dunrobin Castle in Golspie. Still inhabited by descendants of William, the first Earl of Sutherland, this castle is the most northerly of Scotland’s great houses and the largest in the highlands with 189 rooms! Pictured in the photo here is a Harris’s Hawk, native not to Scotland but to the southwestern US and as far south as Chile. This raptor is popular with falconers all over the world. Something especially fun about birding in Europe is that no bird has a name remotely like, for example, Red-collared Foliage-thrower-upper. All the birds have sensible names. The name of the one species of swallow is “Swallow”. Any swiftlike bird you might see is the “Swift”. The kingfisher is a “Kingfisher” and so on. This makes it a whole lot easier to ID them with confidence; for example, a plump white, rust and black bird bobbling in a river? It’s the Dipper! One of our favorites has the unfortunate name of “Buzzard”. It is a sizable and handsome raptor with honey-brown plumage, seen everyday hunting over the hills and fields. 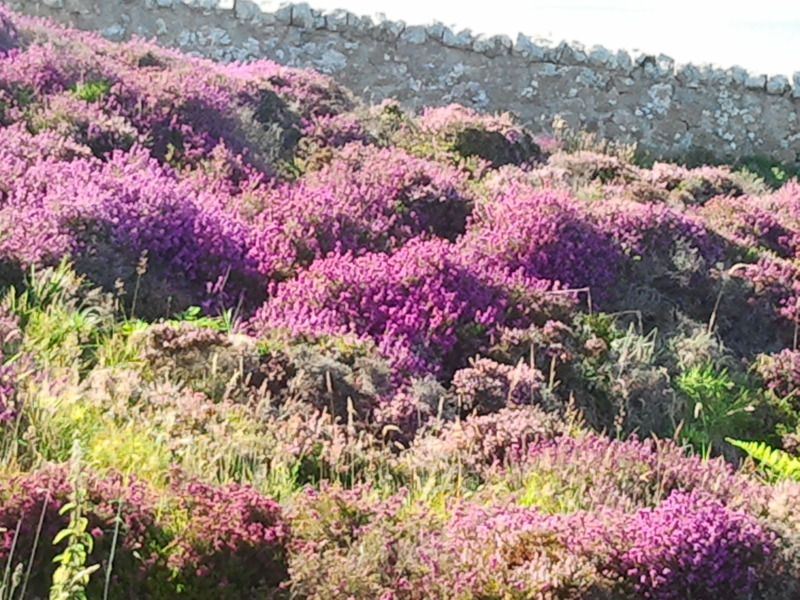 As we were there in mid-August, those fields and the moors were turning purple as the heath and heather began to bloom. A final note about Scotland, every third or fourth person had a well-behaved dog on a leash. We saw many breeds not commonly seen anymore like Irish Setters that require endless exercise and many Border Collies. The most unusual dog we saw was a Skye Terrier. 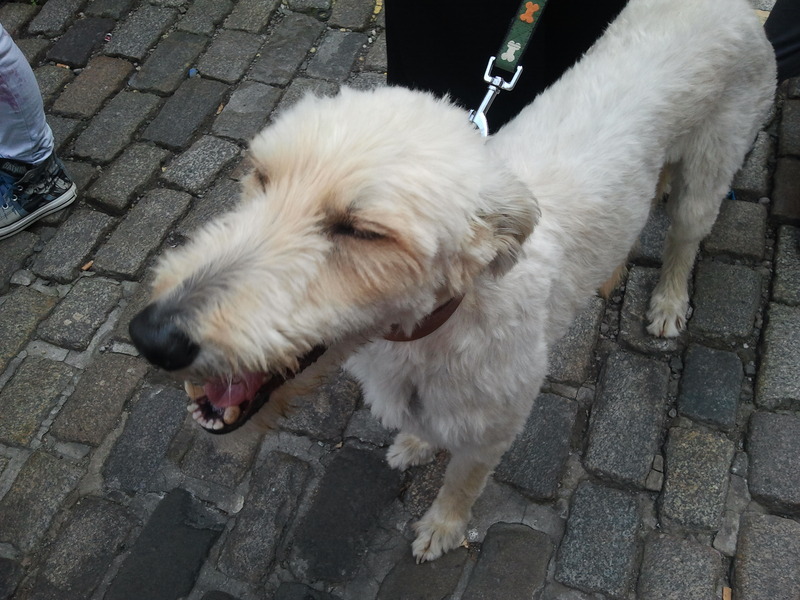 It was almost as big as a Basset Hound and looked like an enormous caterpillar but our personal favorite (in addition to the Golden Retrievers at our B&B) was Lilly, a Lurcher who was part of a street performance at the Fringe Festival. She is 2 1/2 and was recently rescued in London by the Ives family with whom she lives in Grimsby North East Lincolnshire. This was her first vacation in Scotland and, believe me, she was a sensation in Edinburgh! This entry was posted in Viewpoints and tagged Burgh of Tain, European Bird Names, Falconry, Harris's Hawk, Scottish Highlands by AWOlivieri. Bookmark the permalink.